Claiming compensation has become a large part of our culture. We are less willing to sit back and be mistreated or misled by the people or businesses that we deal with on a daily basis. Amongst the most common complaints that we have are in regards to our suitcases being lost or damaged by airlines, our utilities bills not quite matching what we have actually used and mobile phone service providers failing to stick to the contract that we had agreed with them. Compensation Pack now offers advice to people with these grievances, in the form of downloadable packs that let you know what your rights are, what you can do if those rights are not upheld and how to go about sorting out the problem in the best way possible. The packs contain sample letters and important contact details for organisations that can help you get to the bottom of the matter. 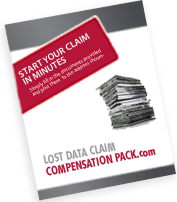 As a last resort the packs include information on how to go about making a claim in the Small Claims Court. While disputes are often resolved before things get this far, it is always a viable option when seeking compensation. 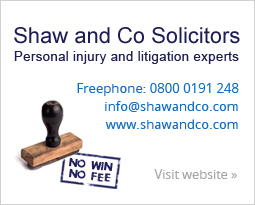 The Small Claims Court allows you to seek compensation up to the amount of £5,000 without the need for costly legal assistance. The aim of Compensation Pack is to provide people with the opportunity to take control in situations where most people would just walk away. By knowing more about what can be done in situations where airlines have let you down, your land lord will not return your deposit or you have been a victim of data loss, you have the power to take matters into your own hands and claim compensation in a legally effective and successful way.